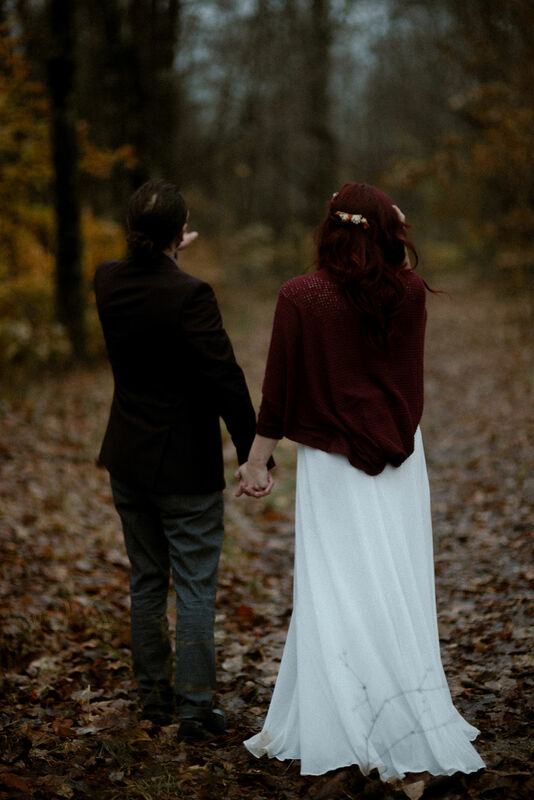 There is something beautiful to be found in the simple moments. 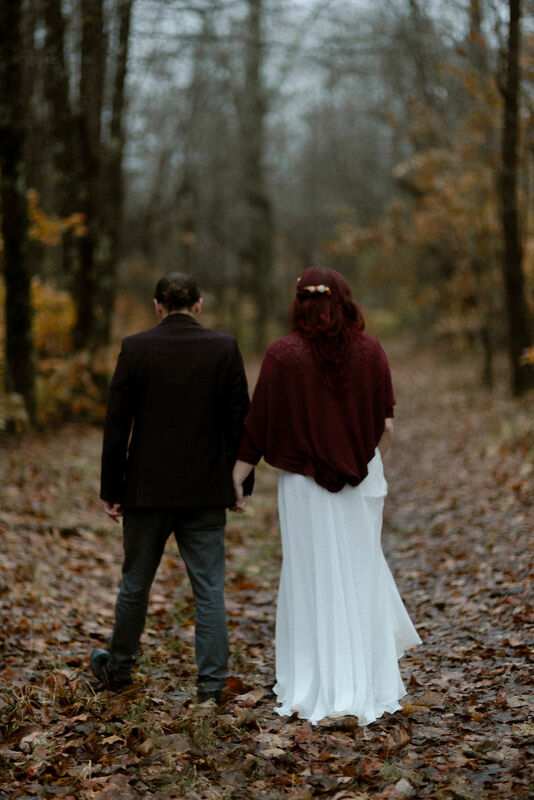 Looking back on this day with Maggie and David reminds me why we as humans take the chance at love and choose to spend our lives with another person. 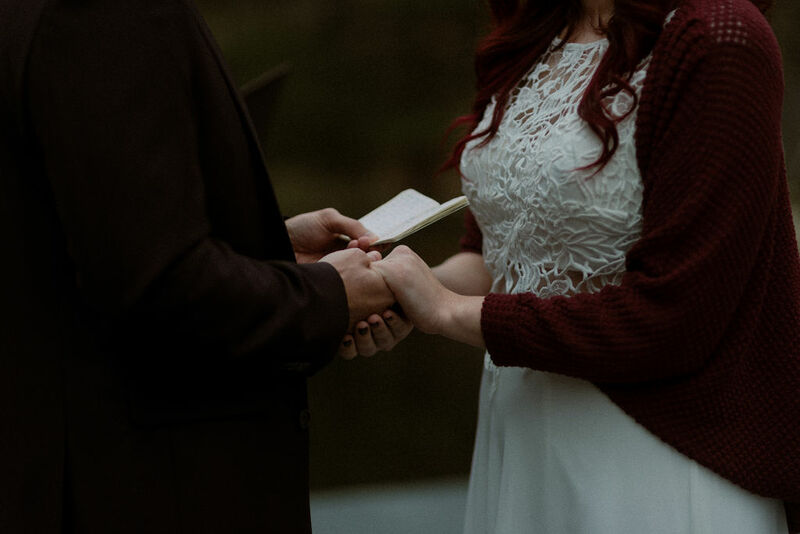 Weddings are beautiful and receptions are fun, but elopements bring a whole other layer of tranquility to marriage that is so precious. 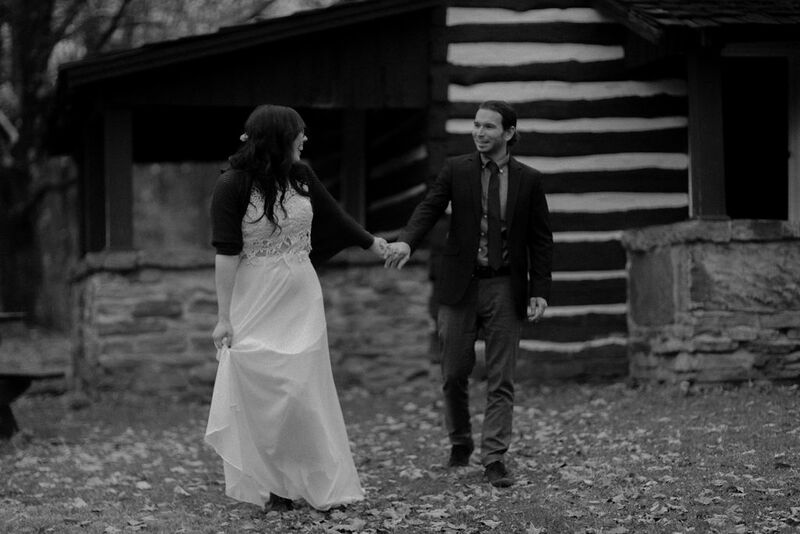 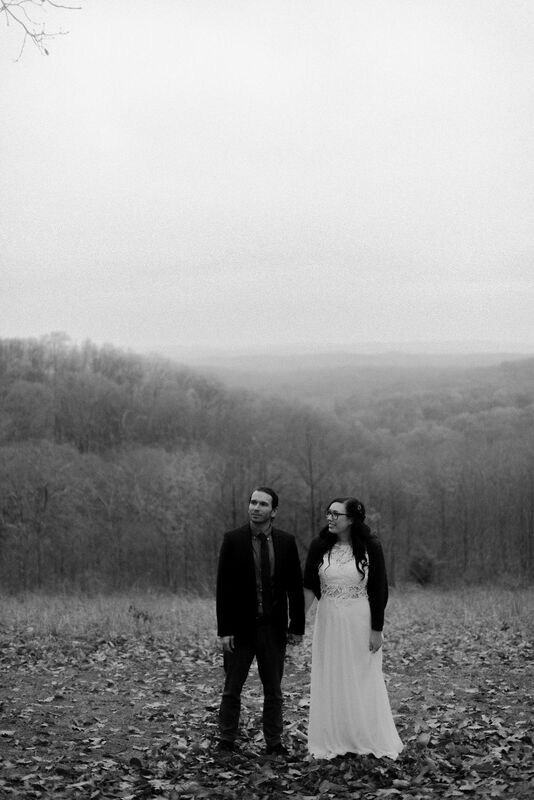 Maggie and David chose a peaceful wooded area in Brown County outside of Bloomington, Indiana to say their vows. 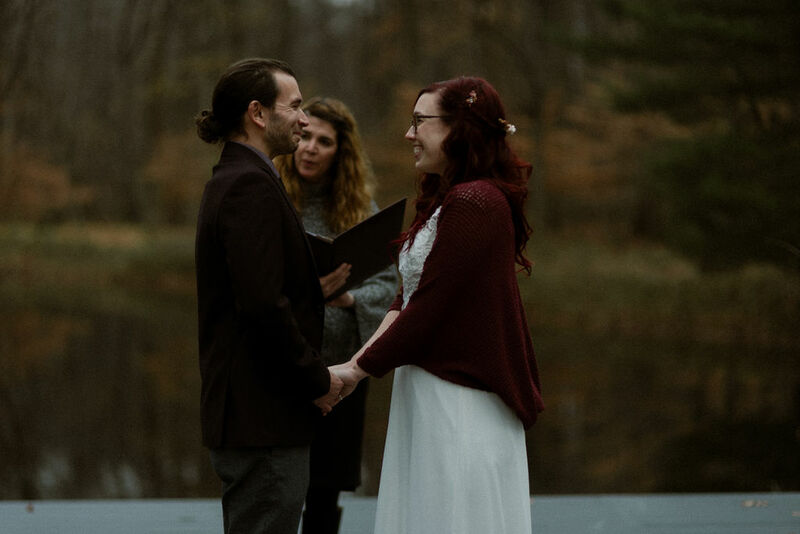 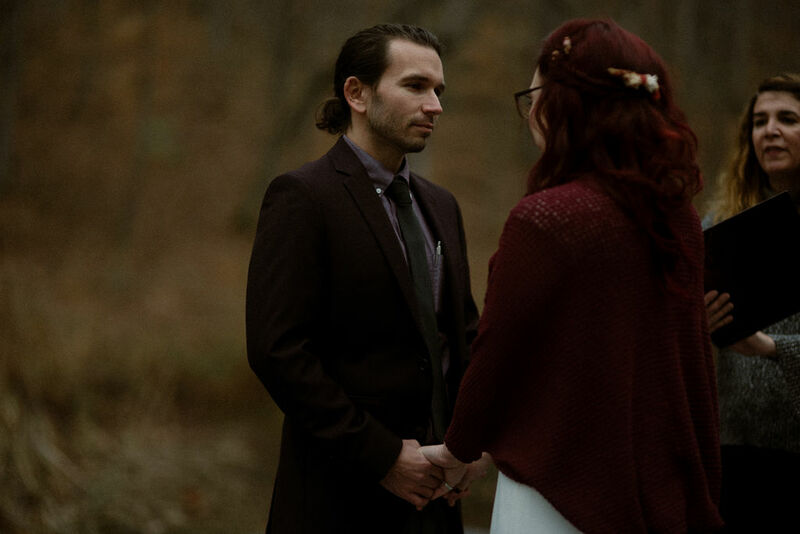 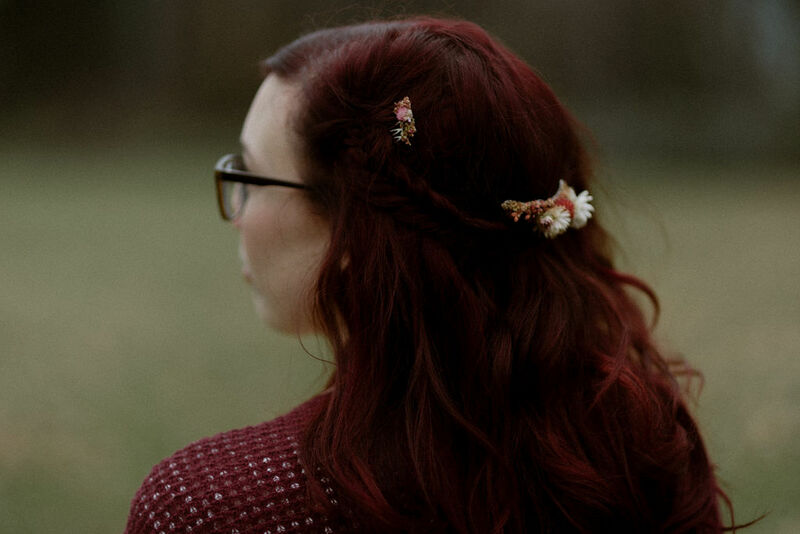 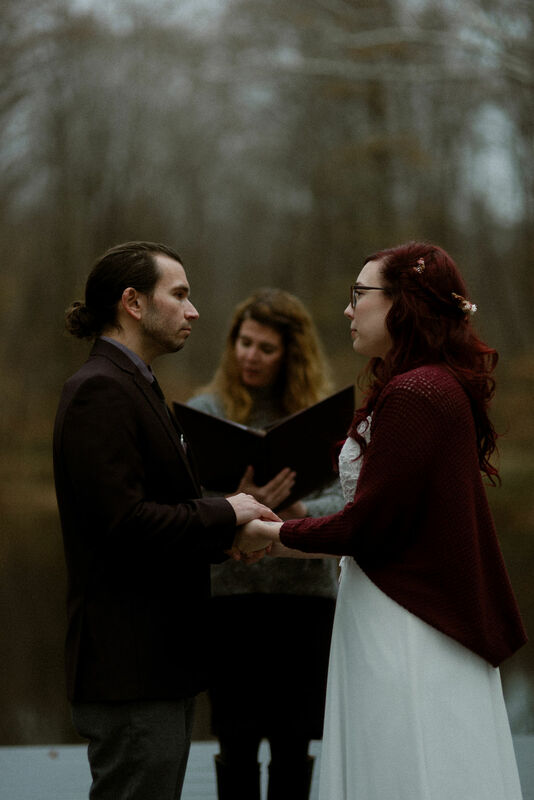 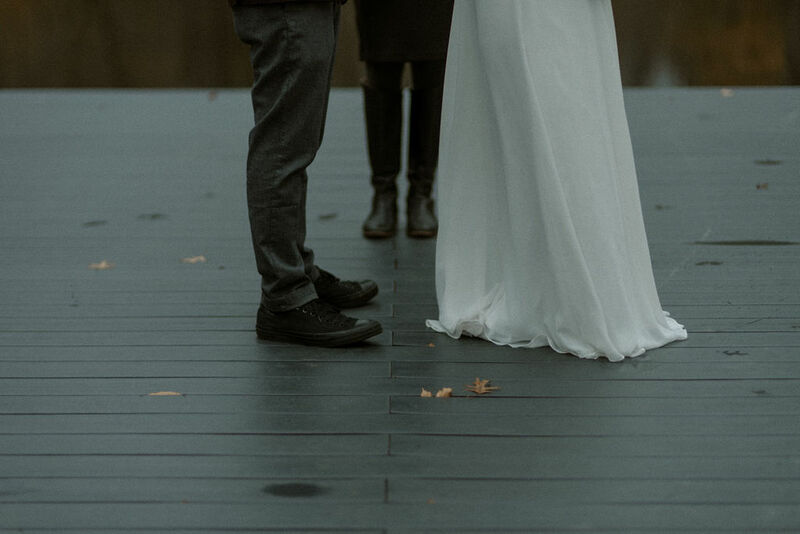 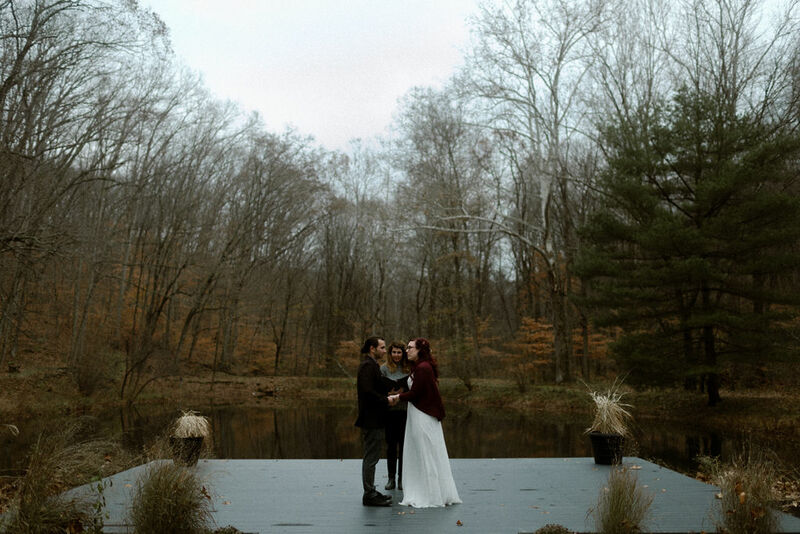 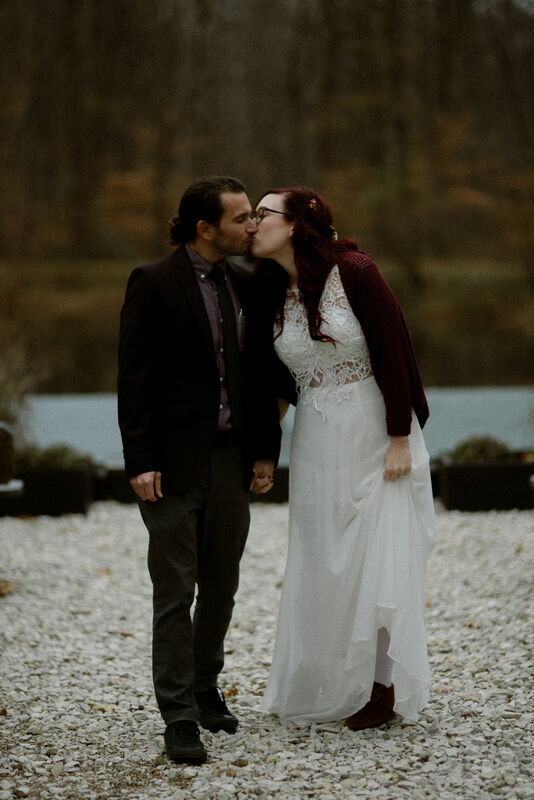 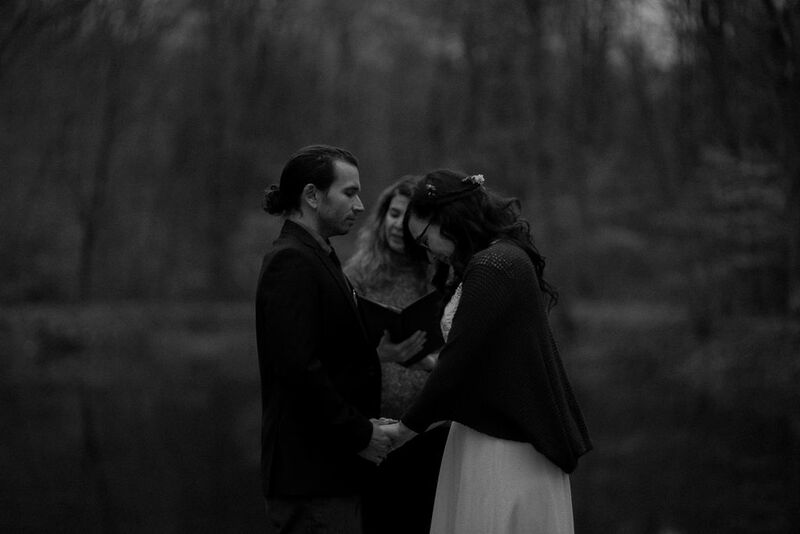 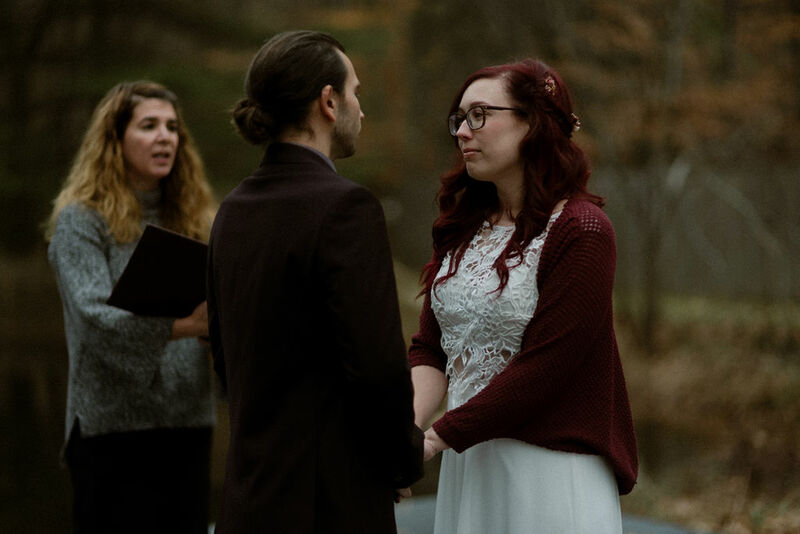 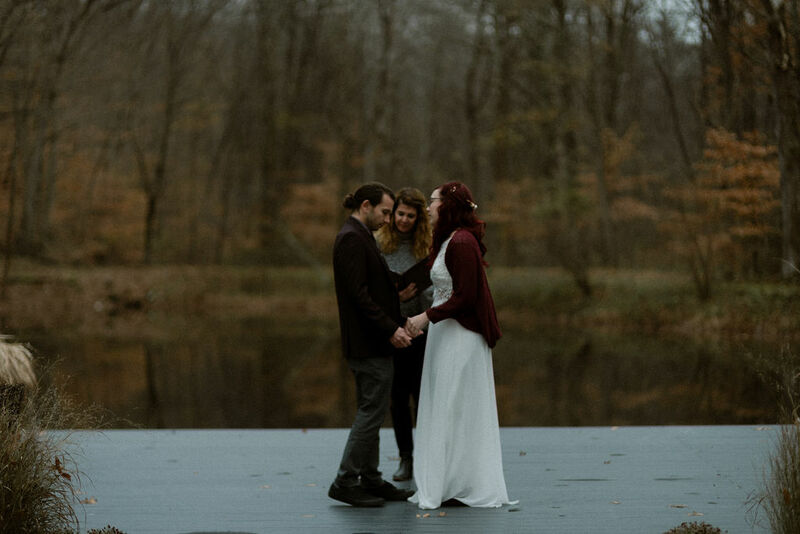 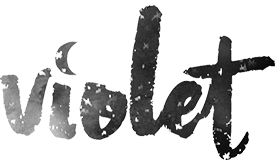 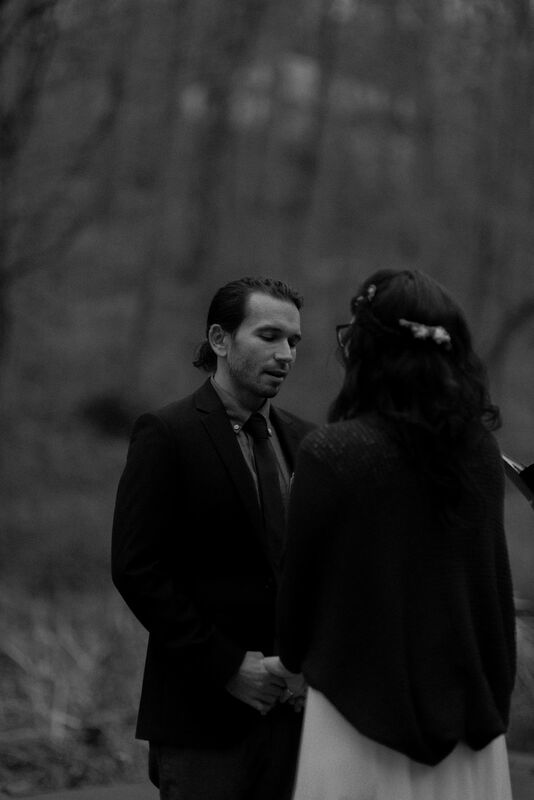 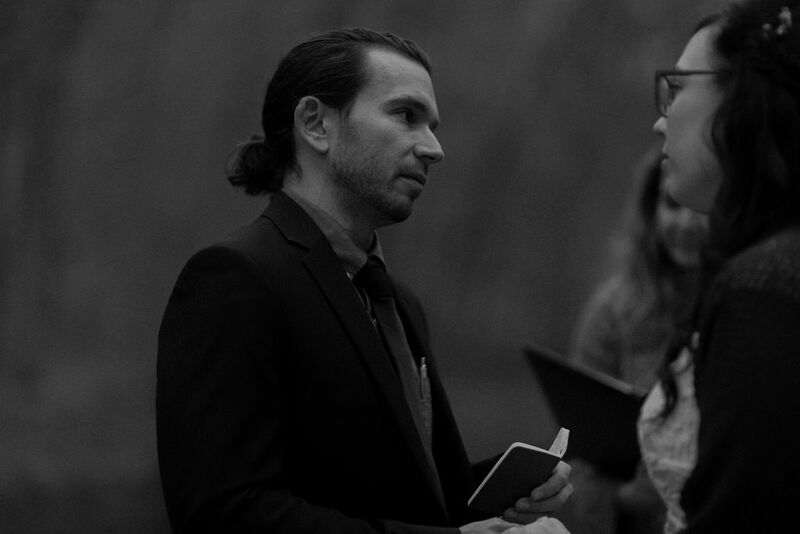 This intimate elopement included only myself, the officiant, and the couple which allowed for complete stillness while they pledged their love for one another. 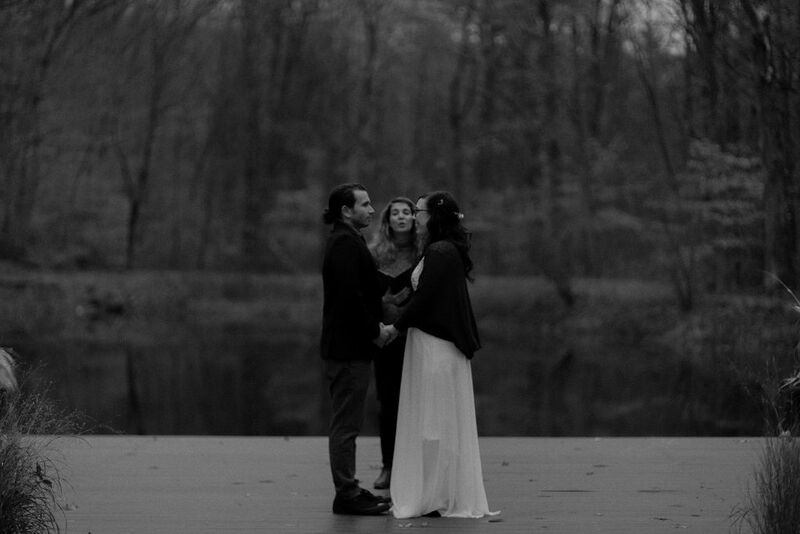 The ceremony was short and sweet but filled with meaningful words of friendship and affection. 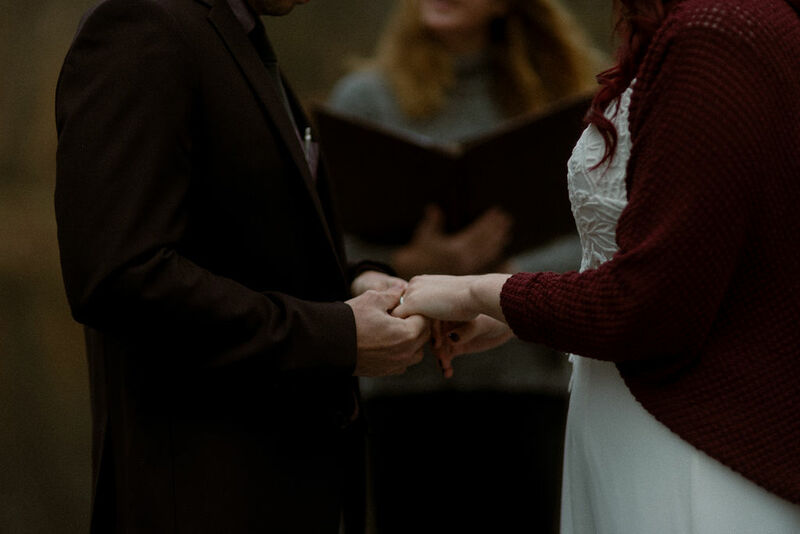 Maggie and David didn’t take their eyes off one another and you can see it in their faces how they were entirely focused on the moment between them. 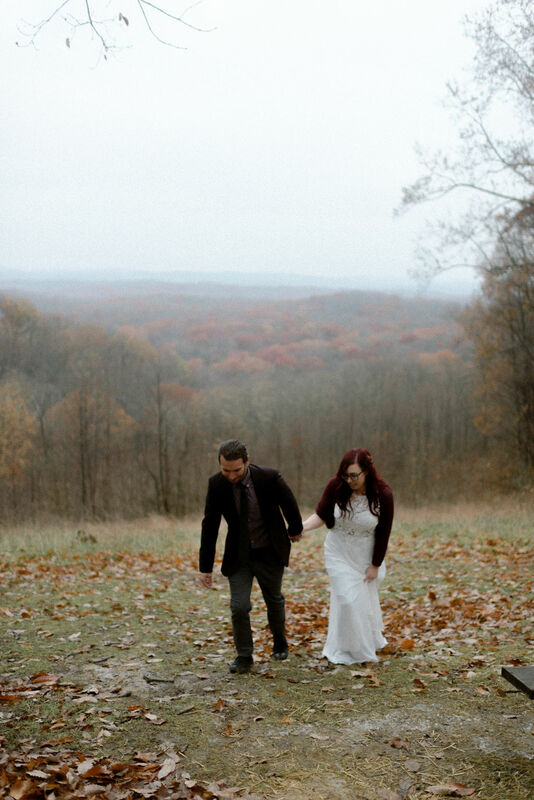 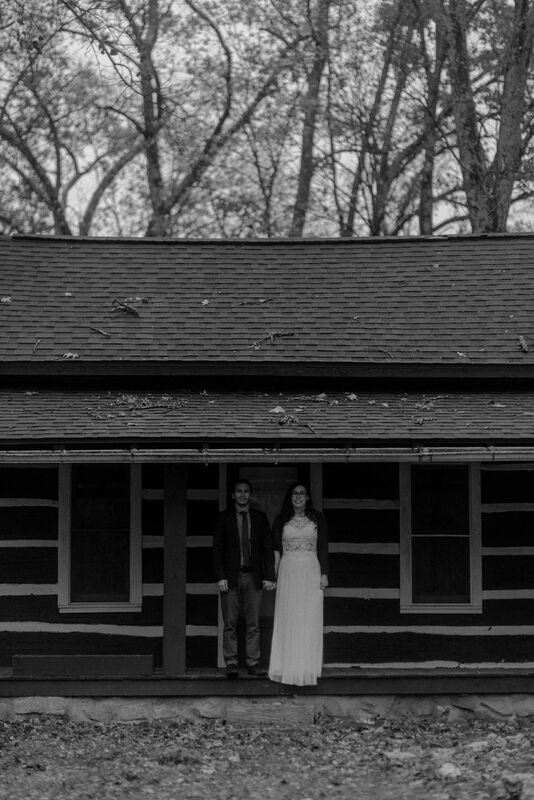 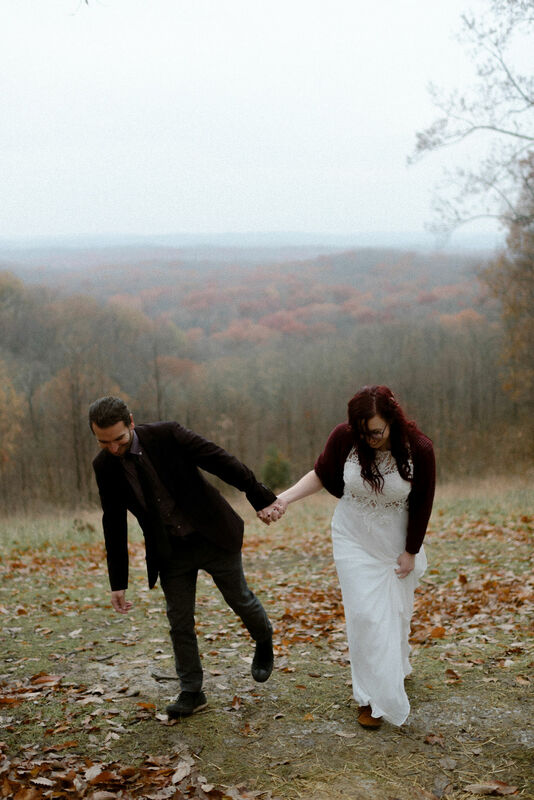 After the ceremony, we hopped in the car and drove around Brown County State Park to snap photos at every beautiful spot we could find. 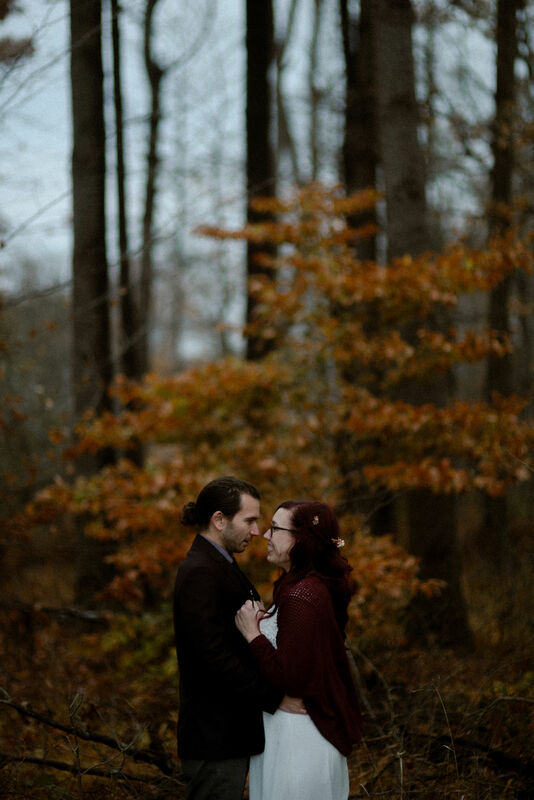 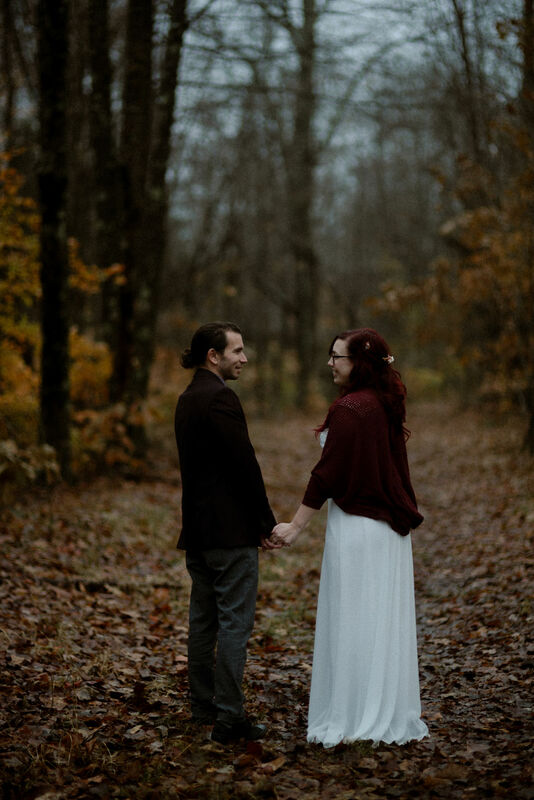 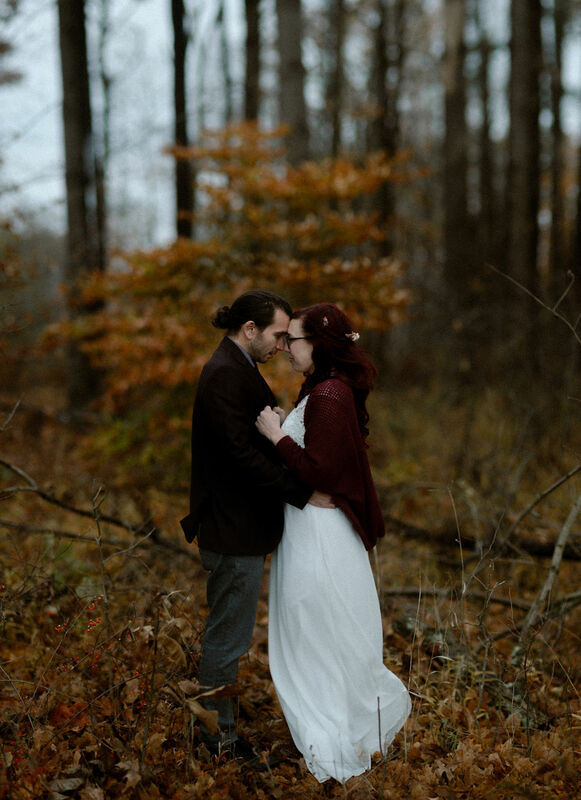 The oranges and yellows of fall were giving way to the browns of winter, and a light rain drizzled around us, but each moment was absolutely perfect despite the chill in the air. 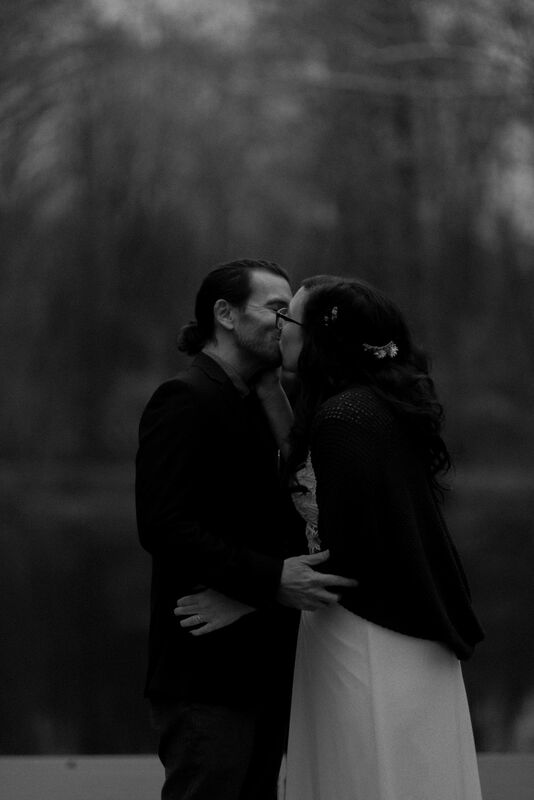 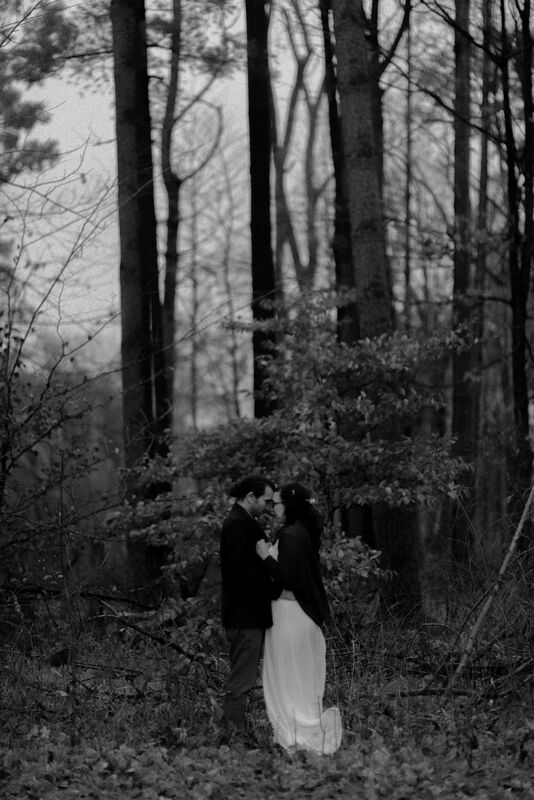 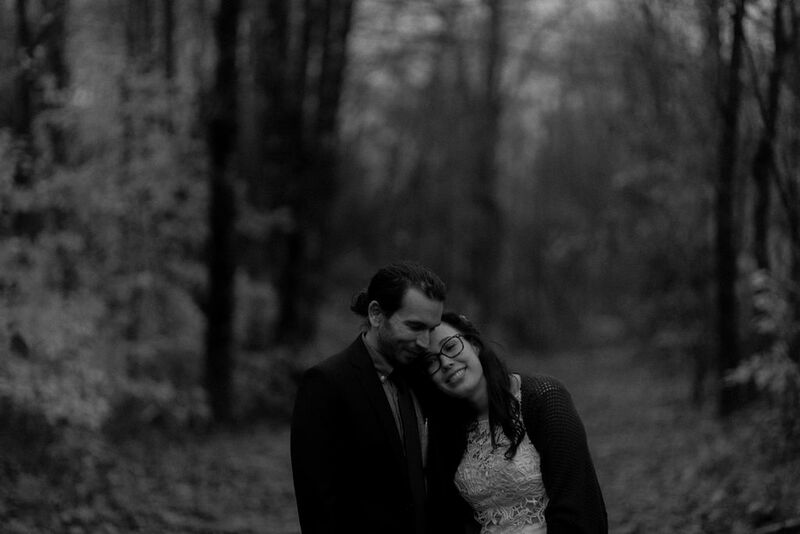 Maggie and David proved that you don’t need sunshine or elaborate details to make your wedding photos magical. 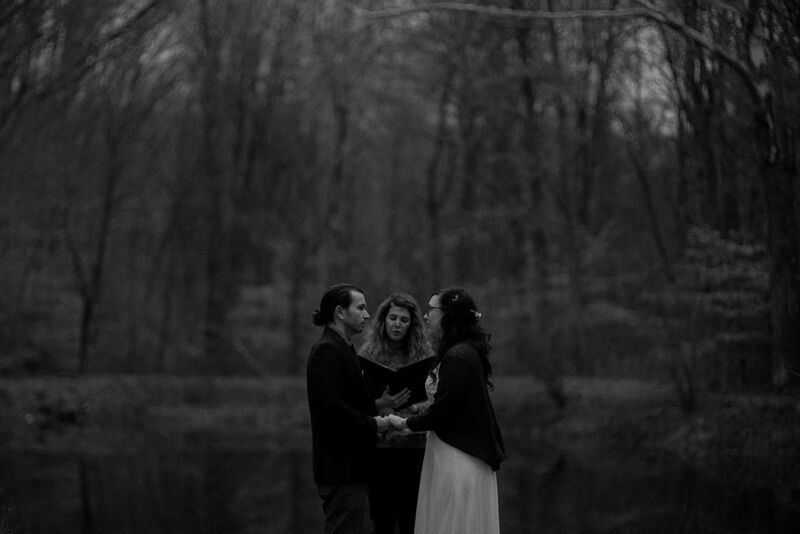 The magic lies in the moment itself. 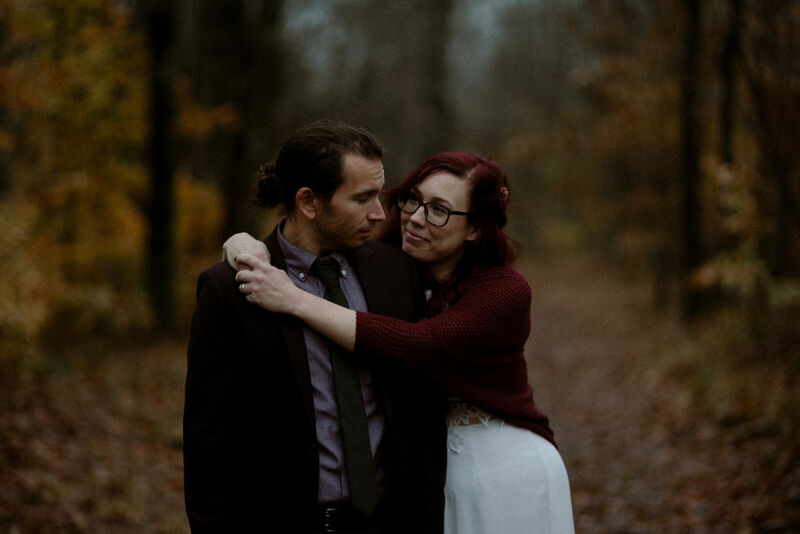 As a wedding photographer, no matter what type of wedding you have, it’s my job to capture each and every emotion throughout the day and these two made that easy to do. 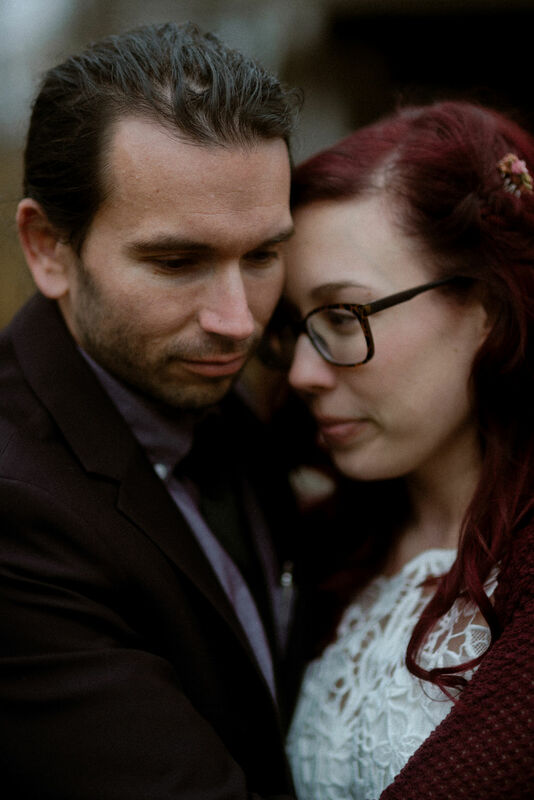 When couples are so in tune with one another that words flow freely and smiles come easily, my job is that much more fulfilling. 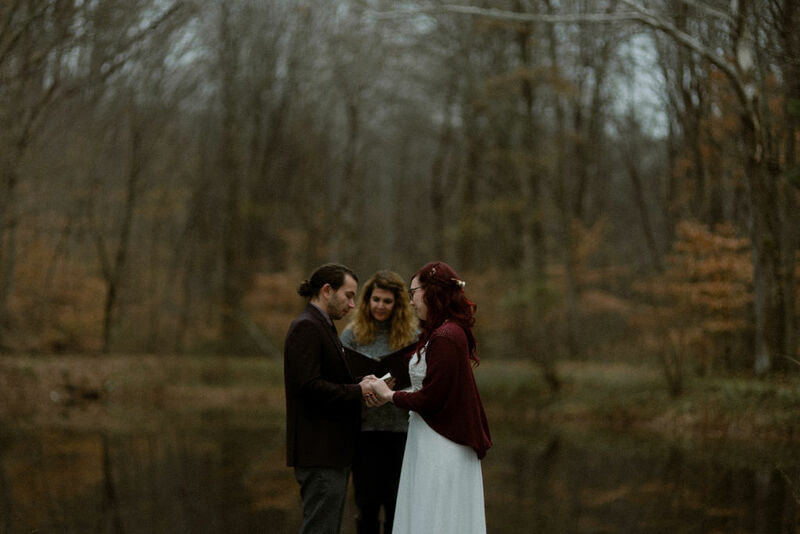 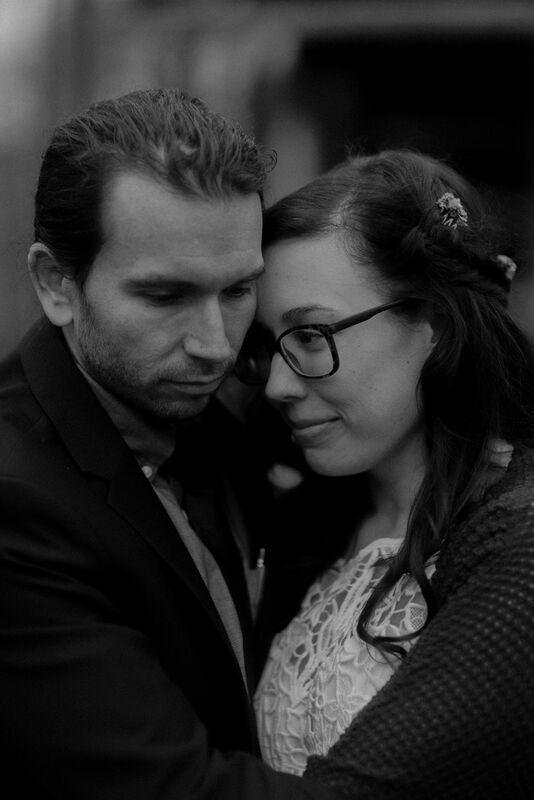 Thank you for being so sweet and open to all my quirky photographer suggestions, Maggie and David. 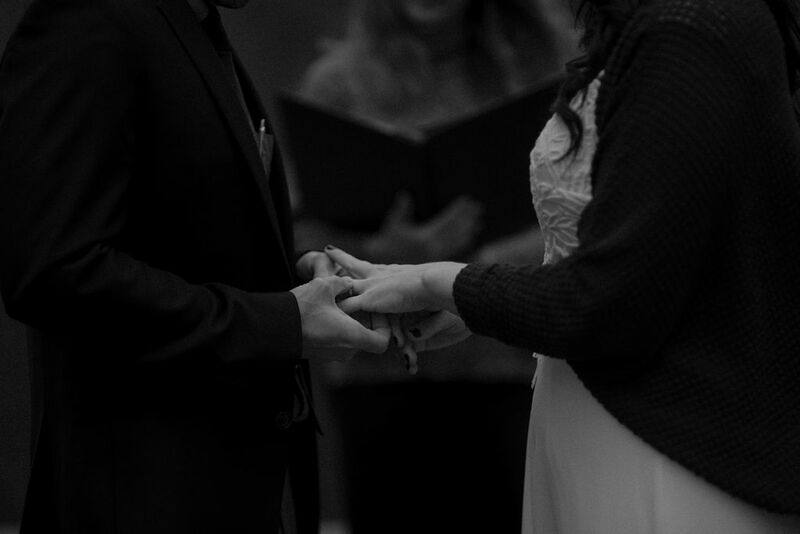 I wish you nothing but years of love and happiness in your lives together.